A reputable breeder is focused on doing their best by their breed in every way. Your relationship with them does not end when you buy the puppy. They will maintain contact with you and offer you any information and assistance that you may want from diet questions to training. They will give you a written guarantee of your puppy’s genetic health and temperament. They will take back the dog at any point in its life for any reason. They will specialize in one or two breeds and be thoroughly knowledgeable about the history and medical conditions of each. They will not sell their dogs to pet shops but rather will keep them as house pets. In fact, the Code of Ethics of AKC affiliated breed clubs specifies that members should not sell to pet shops. These breeders will not sell their puppies before 8 weeks of age and they may even insist on visiting your home–they will certainly interview you. They will deny owners that they believe do not suit their puppies. Because they keep their puppies in their home, the puppies are well socialized and are not exposed to poor health conditions. Reputable breeders may charge a lot of money–Susan Giles’ pet quality lhasa apsos may be $1000-1500. However, these breeders may actually be losing money on their breeding because of the cost of properly evaluating the health of their puppies. Typical tests include the OFA (hip x-ray certification), CERF (Canine Eye Registry Foundation), Penn-Hipp (hip joint laxity), and SAS (subaortic stenosis check). Research the common defects in your preferred breed and ask your breeder what he is doing to prevent and detect those issues. Reputable breeders will have at least the dame on site for you to see and interact with. They will have a limited number of litters per year. They rarely need to advertise and usually have buyers lined up before a litter is born. They will be experienced and confident in their reputation as a reputable breeder and will be happy to offer you references. 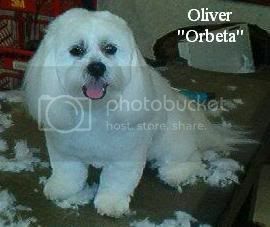 I spoke with a breeder named Susan Giles because one of our customers is a very stand-out lhasa apso named Oliver. Due to backyard breeding and the breed’s natural inclinations, lhasas can come with a myriad of issues. They are typically supposed to be “chary of strangers” but poorly bred lhasas can be kennel shy, unpredictable, and aggressive toward strangers. They are susceptible to physical defects such as cherry eye, renal failure, and hip dysplasia. Oliver is a very healthy boy who is cautious toward strangers but friendly once he gets to know you–exactly what the breed standard calls for. Susan is a show breeder so the puppies she raises come with a thick, luxurious coat as well. She is very aware of the problem of backyard breeders and because of this she insists on a spay/neuter contract when she sells her puppies. The most important thing to remember when looking to buy a puppy is Do Your Research. Know what health exams your breeder should be doing, what temperament problems you should watch out for, and find a breeder you trust who is first and foremost concerned with what is best for their dogs. This entry was posted on Friday, November 16th, 2007 at 12:04 am	and is filed under Breeds: As Related to Grooming. You can follow any responses to this entry through the RSS 2.0 feed. You can leave a response, or trackback from your own site.